But ex-Detroit U.S. Attorney Barbara McQuade, who now teaches law at the University of Michigan, sees something far more troubling than the judge did. She thinks class and racism are at play, and that Manafort may have benefited from being a privileged white guy. In the case of Manafort, I believe that the drastic variance from the guidelines range has little to do with Manafort’s connections to Trump, though Judge Ellis openly expressed hostility to the special counsel and its prosecution of Manafort throughout the case. Instead, I think it reflects the class and racial disparities that exist in the criminal-justice system. As a former federal prosecutor, I have often seen white-collar defendants receive sentences below the calculated guidelines range. This practice sends a terrible message that wealthy and powerful defendants are treated differently than other defendants. I didn’t see many drastic drops from the guidelines in sentences for indigent defendants. During his sentencing hearing, the closest Manafort came to contrition was saying that he felt shame and suggesting he had already been punished. This is a common trope from white-collar crime defendants, who suggest that they don’t need to go to prison because their loss of income and status in the community is punishment enough. They submit letters of support that their expensive lawyers have billed many hours gathering from prominent people to praise their good works. Indigent defendants, on the other hand, don’t receive leniency because they have suffered harm to their status in their community. Their overworked court-appointed lawyers don’t have the resources to collect letters, nor do the defendants know the kinds of prominent people who might persuade a judge to impose a lower sentence. We fill our prisons for lengthy periods of incarceration with disadvantaged people with few economic opportunities, but defendants whose crimes are motivated by nothing more than greed are the ones who get a break. The sentence imposed by Judge Ellis appears to reflect that tendency. Posted: March 11th, 2019 under News Story. Barbara McQuade was the first woman to serve as the U.S. Attorney in Detroit. She was appointed by President Barack Obama and was sworn in Jan. 4, 2010. In March, she was among the remaining 46 U.S. Attorneys in the country from the Obama administration who were forced to resign. She is currently a professor at the University of Michigan Law School. 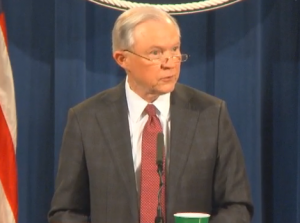 The President’s comments disparaging the attorney general are damaging to the Department of Justice and the American public. Regardless of whether you agree with the policies of Jeff Sessions, Trump’s efforts to insult, marginalize or push him out should be deeply concerning. Trump’s comments that Sessions should not have recused himself from the Russia investigation suggests that Trump sees the position of attorney general as his personal lawyer. In fact, the attorney general takes an oath to support and defend the Constitution. By complying with DOJ ethics rules, Sessions was doing his job properly. Trump would rather have Sessions ignore ethics rules so that he could maintain control of the Russia investigation, rather than allow that duty to fall to his deputy from Baltimore, where, as Trump says, there are not a lot of Republicans. This statement wrongly suggests that DOJ makes decisions based on politics, and undermines public confidence in its decisions. Trump’s comments about investigating Hillary Clinton are also deeply troubling. The case was declined last summer. To suggest reopening it now creates the impression that Trump is seeking to use the Department of Justice to punish his political enemies. It is critically important that the Department of Justice act with independence in bringing criminal cases, and that it not become the machinery of partisan politics. I also think that Trump’s comments about the attorney general are demoralizing to the rank and file employees of the Department of Justice. They need a leader who is advocating for them and their priorities in the President’s cabinet. To see their leader disparaged by the President diminishes the stature of the office of attorney general and the Department of Justice. The men and women who have dedicated their talents in careers to seeking justice and serving the public deserve much better. It may be that the President is trying to coerce sessions into resigning. If Sessions resigns rather than is fired, Trump has more options available to replacing him, including appointing an acting attorney general from among any of his already confirmed appointees, without any additional Senate confirmation. Posted: July 28th, 2017 under News Story. As always, some U.S. attorneys had hoped to dodge the bullet and stick around. But that was not meant to be. 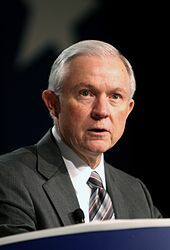 On Friday, the Justice Department announced that Attorney General Jeff Sessions was asking all 46 remaining Obama administration U.S. attorneys across the country to submit their resignations immediately, according to report in the Washington Post by Sari Horwitz and Devlin Barrett. Until the President appoints replacements, career prosecutors will run the offices. Among those who will ago is Detroit’s U.S. Attorney Barbara McQuade. But not all went quietly into the night. New York U.S. Attorney Preet Bharara, the highest profile U.S. Attorney in the country, refused to go, saying President Donald Trump had promised him during the campaign that his job was safe. Posted: March 11th, 2017 under News Story. For his federal cases he was paid $5 per court day. Transportation was by horseback, mostly on Indian trails. There were few roads. Communication with Washington was slow and erratic. It took about two months to receive letters sent to the rustic village of Detroit. Since the Justice Department would not be created for 55 years, Sibley and his successors had limited support or guidance from the Capitol. It is difficult to appreciate the uncertainties surrounding law and the judicial system in those early years when the infant nation was struggling to exist. Translating the rule of law and the concept of justice into the hard scrabble everyday lives of the settlers was an uncharted course. Even after determining a rough idea of what the law was supposed to be, the conflict between policy and practice was particularly challenging in Michigan because of its history of occupation by the Indian tribes, the French, the British, and then the American settlers whose heritage was from many different countries. Due process developed case by case involving people of widely diverse cultural backgrounds, people who had very different ideas about what the law was and how it should be applied in particular situations on the frontier. Sibley and the other USAs started out with the elementary principle that this would be a government of laws and not men. The rights and liabilities of the citizenry were given life incrementally by the resolution of disputes about the application of law, not the exercise of discretion by the powerful. However imperfect at times, the process slowly evolved into the due process system we enjoy today. No law enforcement institution is perfect. There have been cases lost and prosecutions unsuccessful. But the USAO EDMI has been remarkably free of impropriety. Of course there was that attempt by USA Daniel LeRoy in 1828 to resign in exchange for half of a successor’s $250 annual salary. But the USAO soldiered on through the challenges of the Civil War and its aftermath of crime, the explosive expansion of the federal government near the end of the 19th and throughout the 20th Centuries, the failed social experiment of Prohibition with its court congestion, crime and corruption. Like the rest of America it was a white male institution with no women or African American attorneys until the late 1940s. Appointments of Assistants was a political process into the 1960s with each new administration brooming out the AUSAs to make room for new appointees, who then started from scratch to build an experience level to cope with a burgeoning caseload. But somehow the legacies and progress continued despite these counter-productive practices. As Justice Cardozo noted a century ago, justice is a concept that is never finished but which reproduces itself generation after generation in ever changing forms. Posted: January 1st, 2015 under Uncategorized. DETROIT — Things haven’t been dull for Barbara McQuade. Right after being sworn in as the Detroit U.S. Attorney in January 2010, she started dealing with the “Underwear Bomber” case involving Umar Farouk Abdulmutallab, who tried to detonate an explosive aboard a Detroit-bound plane on Christmas day. Later that year, her office indicted ex-Detroit Mayor Kwame Kilpatrick. This year, her staff scored a major victory, convicting Kilpatrick, his buddy Bobby Ferguson and his dad Bernard Kilpatrick. She was involved in the decision that lead to the FBI digging for Jimmy Hoffa in June. And her prosecutors continue to investigate corruption in Wayne County government. In a wide-ranging interview, McQuade, who has been a prosecutor in the office for 15 years, sat down with Deadline Detroit to talk about public corruption, terrorism, Hezbollah’s links to Metro Detroit, Kwame Kilpatrick’s upcoming sentencing, the Hoffa mystery, the credibility of ex-mobster Tony Zerilli who provided the latest tip as to Hoffa’s whereabouts, and what went into the decision to dig for the legendary union leader recently in Oakland Township. “We knew there’d be some ridicule, like ‘Oh my gosh, they’re digging for Hoffa again,” she says. The following interview was condensed and the questions were edited for clarity. DD: Can we expect more indictments out of City Hall? McQuade: I don’t know about city hall per se. I guess I wouldn’t want to comment on that. The pension fund case is pending and we’ll go to trial early part of next year. It’s no secret that we’re currently investigating Wayne County government because that has all been very public despite our efforts to do our best make sure we protect the integrity of people involved in that investigation. I think there have been six defendants convicted to date in that investigation. DD: I noticed in the paper that former U.S. Attorney Jeff Collins, who works for Bob Ficano, has asked you for a letter for Ficano saying he’s not a target of the investigation. Apparently he’s not gotten one. Is there a reason not to issue a letter? McQuade: I don’t want to comment on that other than we are investigating all aspects of Wayne County and we don’t know yet where the evidence may lead us. So people should not infer anything positive or negative from that. DD: It’s unusual for a federal judge to detain a defendant in a white collar case before sentencing. Were you surprised Judge Nancy Edmunds detained Kwame Kilpatrick? McQuade: We thought we had a reasonable chance of that outcome. I don’t know I expected that outcome. I wasn’t stunned in light of the history he had in the state court with flouting court orders. DD: Have you seen that before in a white collar case? McQuade: From time to time people get detained in white collar cases. I agree with you that it is more rare. There was no argument that he was a danger to the community and more often, those are the kind of defendants who get detained. This was more along the lines of risk of flight and a history of not complying with court orders. DD: How involved was the Justice Department with the Kwame case and how worried were they about pulling the trigger and indicting? McQuade: Not much at all. The Justice Department does get involved in certain kinds of cases with national implications. For example, the Abdulatalab case (Underwear Bomber), which was an international terrorism case. They were very involved in that and wanted to be kept apprised at every step of the way and we needed approval from them every step of the way. The Kilpatrick case much less so. Really we were notifying them of significant events in that case. But other than that, they really let us run that case on our own. DD: You indicted Bernard Kilpatrick, Kwame’s dad, who worked as a business consultant for city contractors. I know prosecutors sometimes worry the jury might be more sympathetic when they see a family unit on trial. Was that something that was debated? McQuade: I guess I don’t want to talk about specifics of what we debated. But you’re absolutely right that those are always the kinds of things that you think about: How does this affect the jury’s perception of the case? Are we overreaching in any way? But we felt very strongly about charging Bernard Kilpatrick because we thought the evidence against him was very strong. Ultimately, the jury was hung on him with respect to RICO charges but did convict him of the tax charges. There was wire tap evidence, video evidence, that we thought was very strong that (showed) he was just not a participant but a leader in this activity. DD: Do you think in his case or others the laws involving lobbying and consulting are too vague? McQuade: Well, sometimes the lines are unclear about what is permitted and what is not permitted. But the evidence we thought in this case was very strong that there was no gray matter, that this was misconduct. But as I said, reasonable minds can disagree. DD: A lot of people were happy to see the indictment, but some supporters of his wondered if it was racially motivated. Did you feel pressure if he walked that it would bolster his cries of racism? McQuade: I wasn’t worried about it. Defendants always have some argument about why they’re being unfairly targeted. That’s a fairly common tactic. Certainly it was an important case for the city of Detroit. And so we did feel strongly and had great hopes the jury would see it our way and convict him. If he had not been held accountable I think it would have sent a terrible message to the entire city of Detroit and the entire community. Posted: July 26th, 2013 under FBI, Special Report. Posted: July 17th, 2013 under FBI, News Story. DETROIT — Former interim U.S. Attorney Terrence Berg, who lost out in his bid to become the permanent U.S. Attorney in Detroit under the Obama administration, has gotten a nice consolation prize. 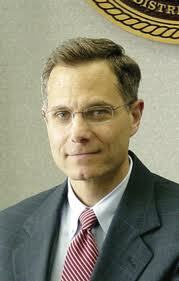 On Wednesday, President Obama nominated Berg, 52, for a federal judgeship, the Detroit News reported. The nomination was first reported by the Detroit News. “The president has made an outstanding choice in nominating Terry Berg to the federal district court bench. He is hard-working, courteous, unflappable and smart — all important qualities for a judge,” U.S. Attorney Barbara McQuade told the News. McQuade ended up getting the job as U.S. Attorney instead of Berg. Posted: April 26th, 2012 under Milestone, News Story. 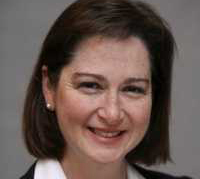 Barbara McQuade has been the U.S. Attorney in Detroit since January 2010. DETROIT — As the Free Press’ “Living with Murder” series has vividly illustrated, reducing homicide and violent crime in Detroit is essential to improving our quality of life. Even those who live outside the city should be concerned about crime in Detroit, because it affects the success of our region and our state. We cannot allow Detroit to be defined by homicide and violence. While law enforcement agencies are working together to arrest and remove dangerous people from our community, long-term solutions to reducing violent crime require thoughtful prevention efforts. A federal judge in Detroit recently told me that when he imposes a long prison sentence on a violent offender, he wishes he could “rewind the tape” to the point in the defendant’s life before he became involved in crime. Prevention efforts underway in Detroit seek to do just that. Posted: April 17th, 2012 under News Story.